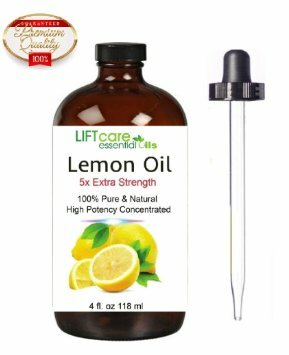 I recently received Lift Care 5x Extra Strength Lemon Essential Oil to try out. Let me tell you, my house smells like sunshine and summertime! This has to be one of the best room deodorizers I've ever used. I just put some in a diffuser and it has taken the cigarette smell and any other odors out of here! This extra strength lemon essential oil as an antiseptic quality too and can be used on minor fresh skin infections, or even to lighten freckles or age spots. This is an all natural, no chemical product. It's made using lemon peels from ripe fruit and a cold expression process. This is highly concentrated so just a few drops goes a long way. And it comes in a huge 4 oz bottle so this will last quite a while. I have to say I'm impressed and recommend this product.